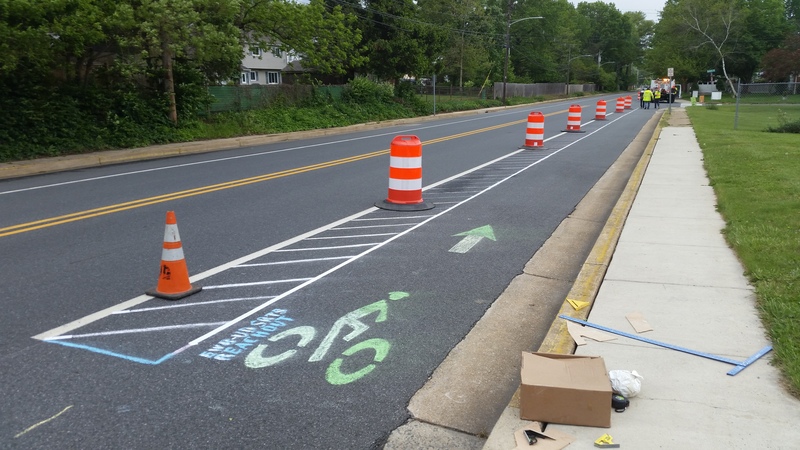 In 2017, BikeNewark partnered with a number of organizations to expand the prior year’s Bike to School Day to a week-long focus on bicycling at John R. Downes Elementary School in Newark. The initial day boasted 100 bicycles in the school’s bike racks after four organized bike trains arrived from four meeting locations within the city. This represents 29% of the enrollment at the school. 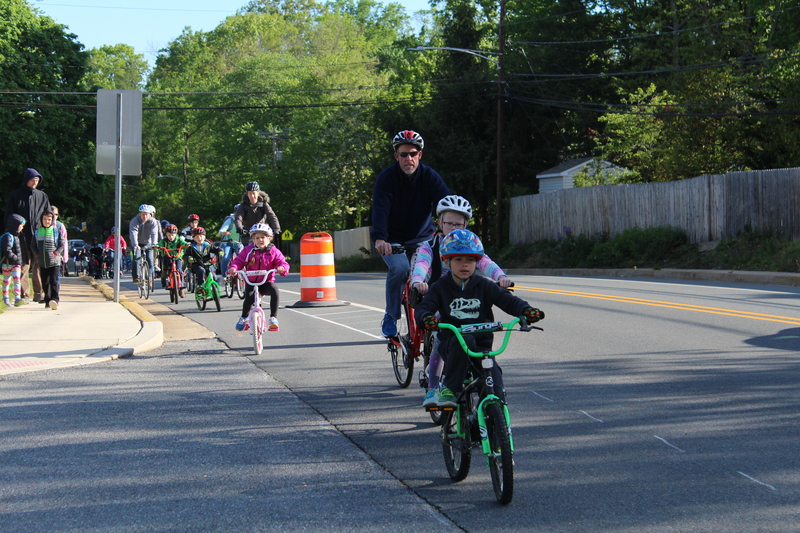 The overall daily average for Bike to School Week bicyclists was about 9% of the school, which included one rainy day. 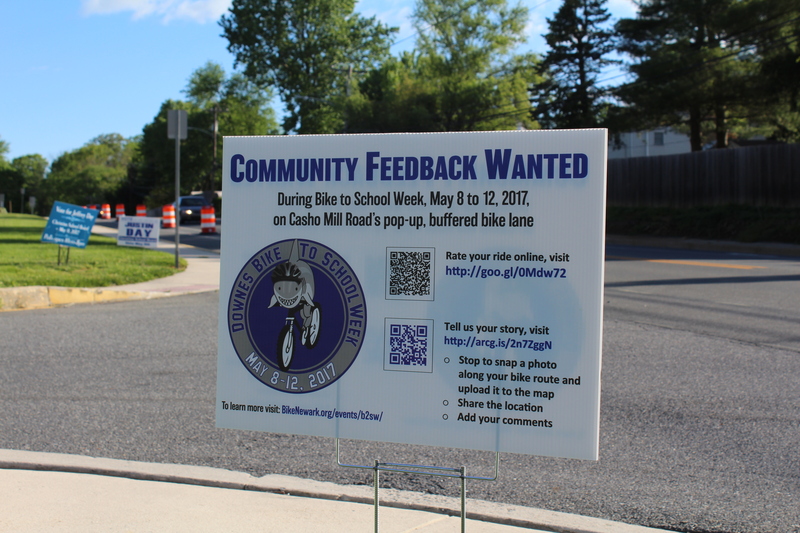 The feature of the week was a pop-up demonstration of a buffered bike lane along a good stretch of Casho Mill Road, leading to the school from the north and south. Engineering design was done by the University of Delaware chapter of Engineers Without Borders’ Reach Out team in coordination with DelDOT and the City of Newark. This demonstration was part of a Safe Routes to School project in which the school, having received a three-year $375K Safe Routes to School grant, is involved. Based on the success of this weeklong event, BikeNewark will be looking to do more in 2018 with Downes during Bike to School Week and expand this event to at least one other area elementary school during National Bike Month.